Buffdaddy Nerf: Iron Man Flip & Fire Gauntlet Review - A Pleasant Surprise! 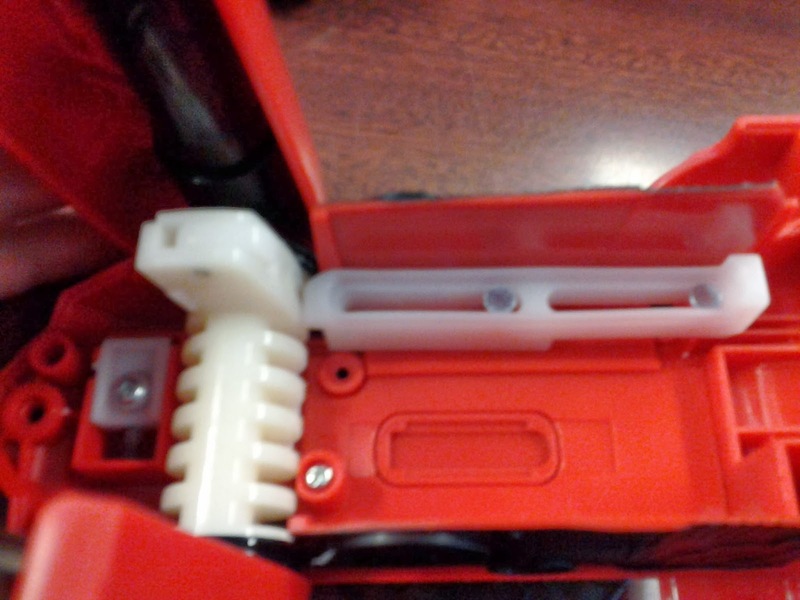 There are four screws in the bottom of the blaster. 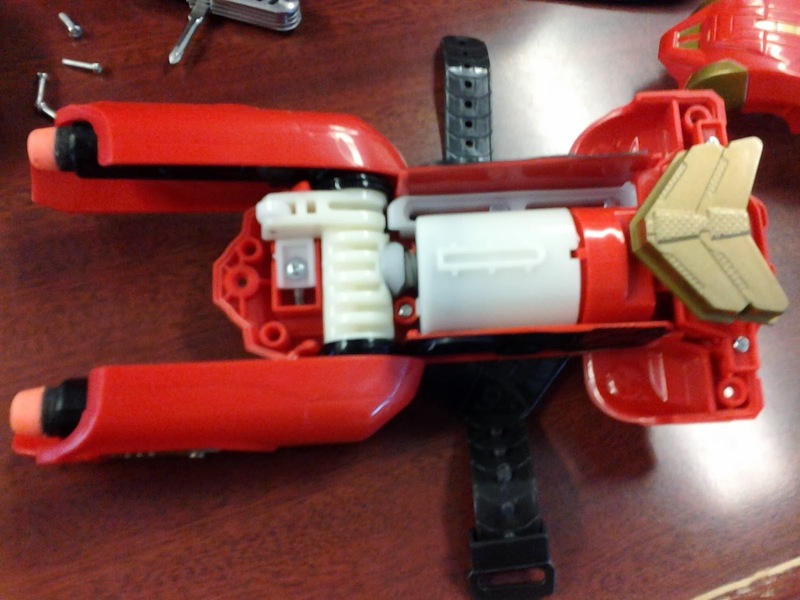 After their removal, you'll need to turn the blaster over for further surgery. That's right - half(ish) of the internal volume is taken by the plunger assembly! The gold button is the trigger, and it can be lifted out without issue. Note two things: there is a weak catch for holding the arms in firing position, and the arms are tilted slightly up when you do fire. ...we see a very wide plunger head with a short plunger stroke. But there's ample volume! In addition, that is a hella stiff spring inside. Folding the arms back provides the leverage needed to compress this strong, if short, spring. 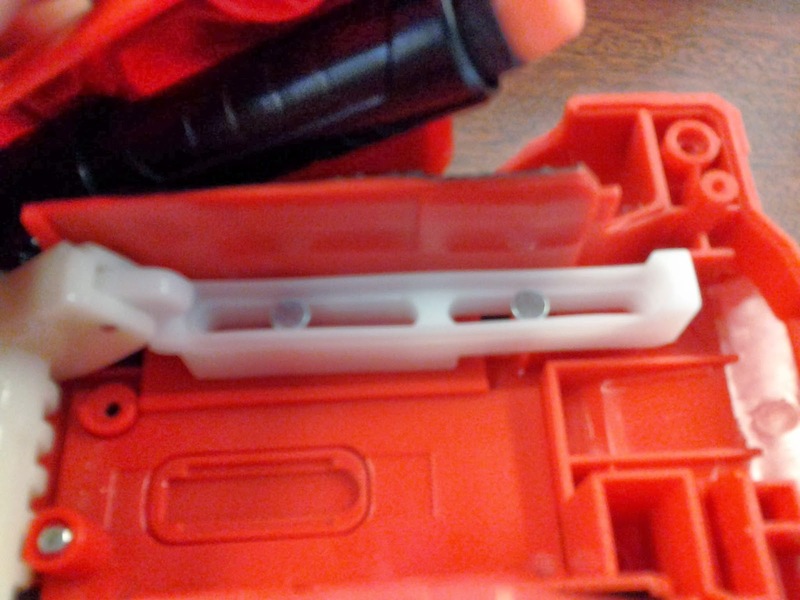 The priming arm pushes on the sliding piece. This in turn pushes the plunger back. That extra piece on the priming lever? It rotates freely on the metal pin, and stays out of the way most of the time. When near the end of the priming stroke, that piece provides the extra distance needed to engage the catch. 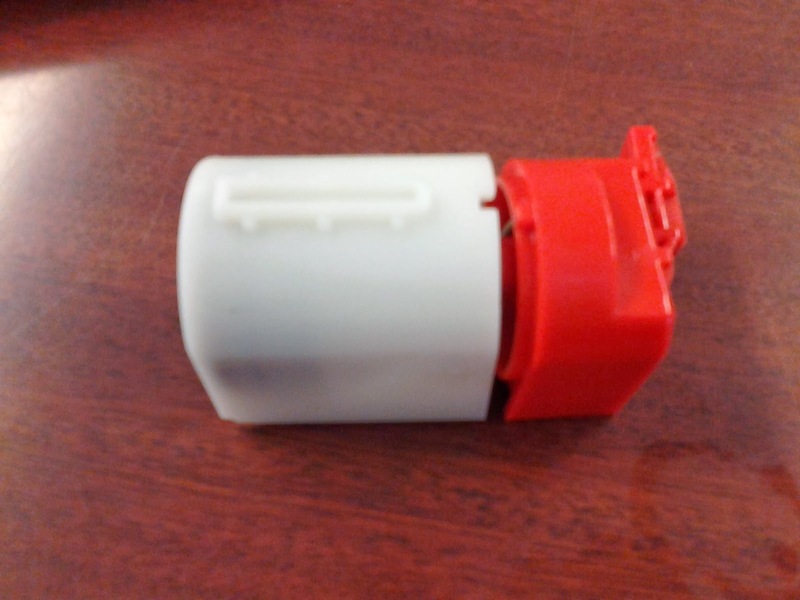 The plunger travel is only about 2.5 cm, but the diameter of the tube is 3.2 cm. In other words, the plunger volume has the exact same dimensions as the Snapfire 8! Which in turn is close to that of a Nitefinder (citation). Finally, the barrels! It turns out they're held together by the red sideplates. 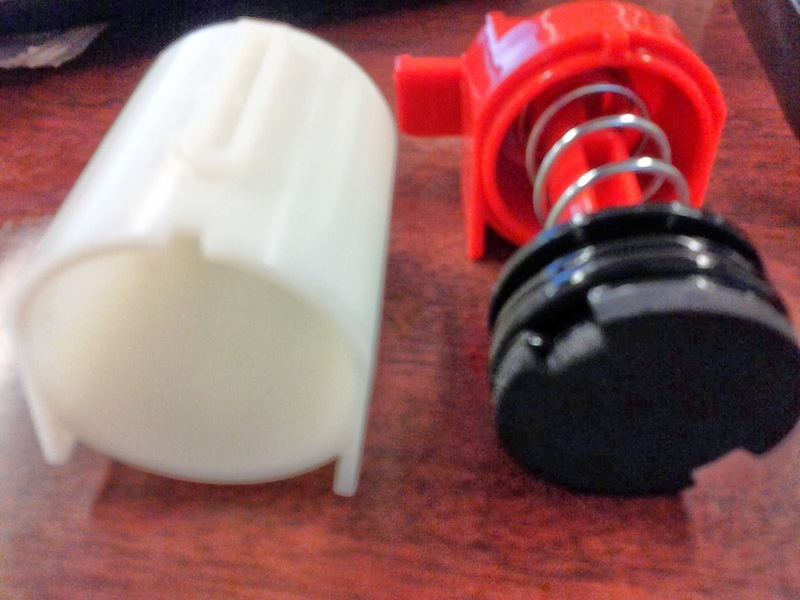 After removing the screws, the barrel slips off, revealing the air restrictor and spring. As for ranges, the Gauntlet meets the claims on the box of up to 25 feet for both darts. More interestingly, I experimented by removing one of the air restrictors and firing darts from only that barrel. The result? Identical ranges to my Snapfire 8, when set for "power" instead of "speed". I'm actually going to recommend grabbing one of these, if for no other reason than for experimentation. It has decent power, works on your wrist, and works as advertised. Plus, it doesn't have to go on your wrist - this could easily mount underneath another blaster (or faux barrel attachment) and serve as a removable integration. Great review, Buffdaddy! This is the most thorough review of the Gauntlet I've seen and the only one that I've caught with internals. 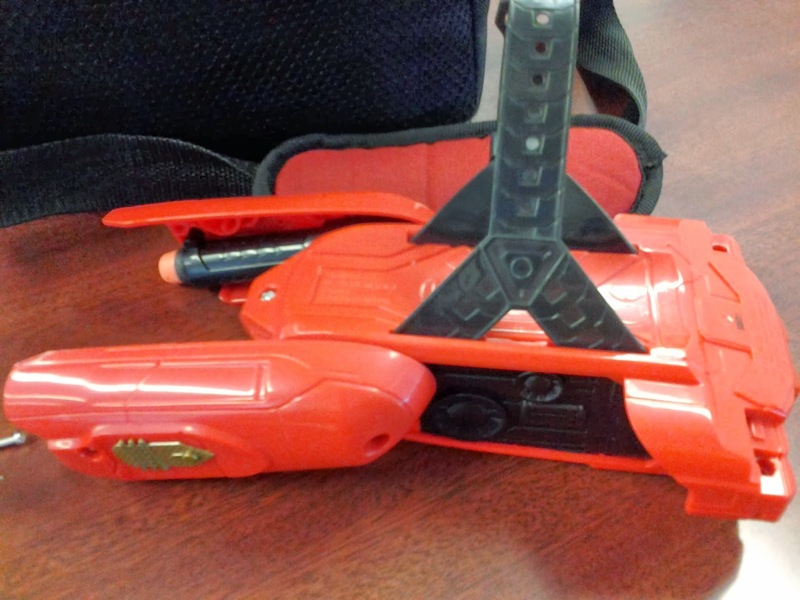 With all of the news with other blaster releases and the London Toy Fair, the Gauntlet was quite an overlooked item (even purposefully so with some writers). Thanks for covering it! I'll keep my eyes open for a deal on one. 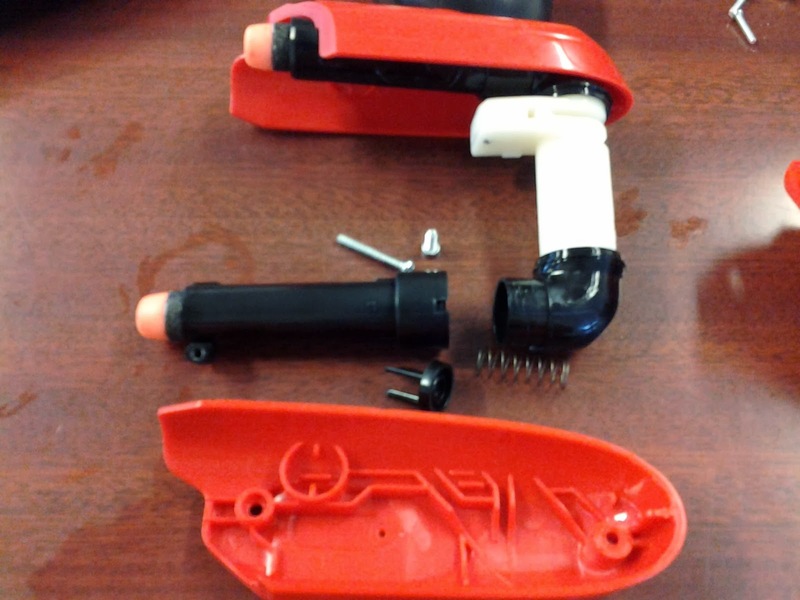 Hey, when disassembling the blaster, the whole machinery pumped due to the pump. 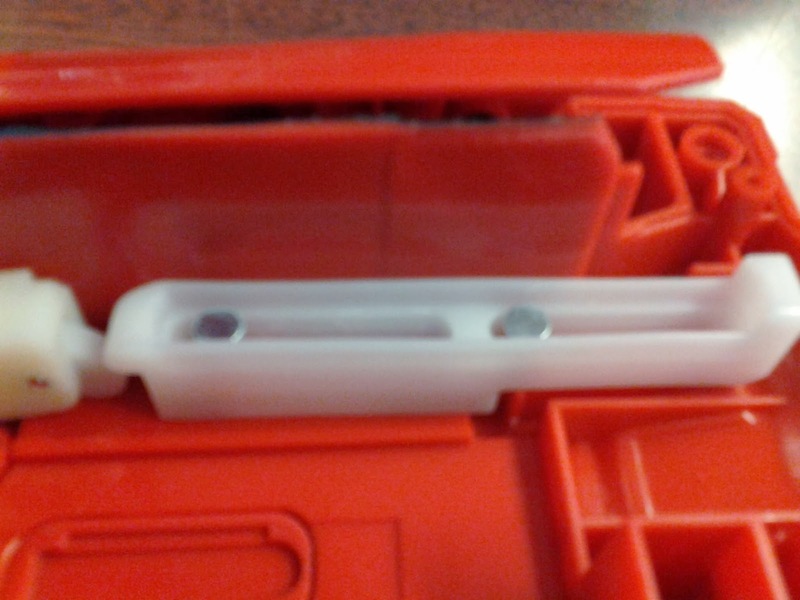 In the midst of doing so, this small right angled white piece with a spring came out and I can't tell where it belongs. In your images there is no photo of the piece and I believe it belongs under the plate undone...is it possible to help me out?